The Ahmedabad Municipal Corporation’s (AMC's) General Body (Municipal Board) recently passed the AMC’s annual budget estimates of Rs 6,990 crore for 2018-19. AMC’s revenue expenditure for the next financial year is Rs 3,500 crore and development budget (capital budget) is Rs 3,490 crore. 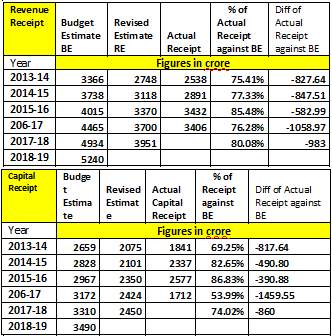 The revised estimate (RE) of AMC’s revenue expenditure budget for 2017-18 is Rs 2,900 crore against the budget estimates (BE) of Rs 3,241 crore, and the RE for development expenditure is Rs 2,450 crore against the BE of Rs 3,310 crore. Thus, AMC’s budget expenditure registered an under-spending of Rs 1201 crore (18.33%) in 2017-18, as AMC could not mobilize the financial resources as per planned estimates. In fact, over the last six years, AMC has never been able to mobilize financial resources as planned, hence has not been able to fully spend development expenditure. The maximum development expenditure was 76.82% in 2015-16. It’s the development expenditure which enables the creation of new infrastructure for the city. As for AMC’s revenue expenditure (salaries to employees, maintenance and repairs, grants etc), it has remained around 85% against the budget estimates in last six years. The less expenditure on revenue side impacts the quality of services to citizens. The revenue expenditure is around 90% due to salary, pension and social security of its employees. AMC has budgetary provisions to address the needs of all citizens -- children, women and men, senior citizens, slum dwellers, vendors and others. AMC’s governance provides various services and amenities to citizens, but the efficiency and quality of delivery depends on various factors like resource mobilization and expenditure. The compliance eco-system, where citizens pay their due tax dues regularly, besides financial resources devolved to AMC, help decision making process socially inclusive, transparent and accountable. When AMC fails in mobilizing the financial resources as estimated, the basic service delivery system gets affected and infrastructure development process gets decelerated due to shortage of finances. AMC has never achieved/collected the tax/revenue from various sources as planned/estimated. The actual revenue collection has been 75% to 85% in the last five years. Achieving less revenue collections indicates poor tax administration and resource mobilization. AMC has been missing the target of revenue mobilization -- the shortfall was to the tune of Rs 827 crore in 2013-14, Rs 847 crore in 2014-15, over Rs 1,000 crore in 2016-17, and would be Rs 983 crore in 2017-18. 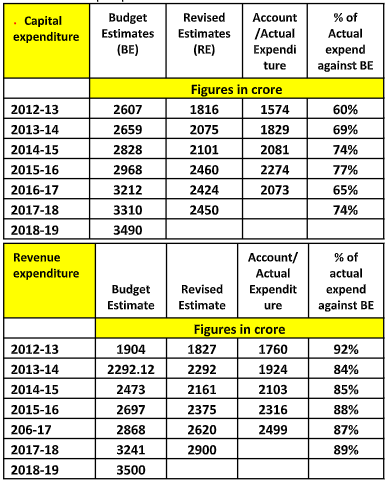 AMC’s expenditure budget for 2018-19 has been distributed in 25 functions/categories, as shown in the budget document “Know your City Budget: Where will AMC spend its annual budget of Rs 6990 crore in 2018-19?" Projects like metro and smart city, implemented by Railways and Special Purpose Vehicle respectively are not directly implemented by AMC, hence have very little budgetary outlay. The budget outlay for some services is less than one percent, which, in a way, indicates the priority attached to that services like slum up-gradation (0.94%), fire brigade (0.9%), Integrated Child Development Service (0.83%), public toilets (0.36%), sports, stadium and gymkhana (0.19%), heritage (0.18%). The actual expenditure would be even less than this. Presented under the Bombay Provincial Municipal Corporation Act, 1949 (amended to Gujarat Provincial Municipal Corporation Act), the budget document shows an outlay for mandatory 10% allocation out of revenue receipt for the welfare of scheduled castes, scheduled tribes, and other socially and economically backward communities, as per article 63(2) of the Act. Unfortunately, the document does not provide the statement of actual expenditure under it. 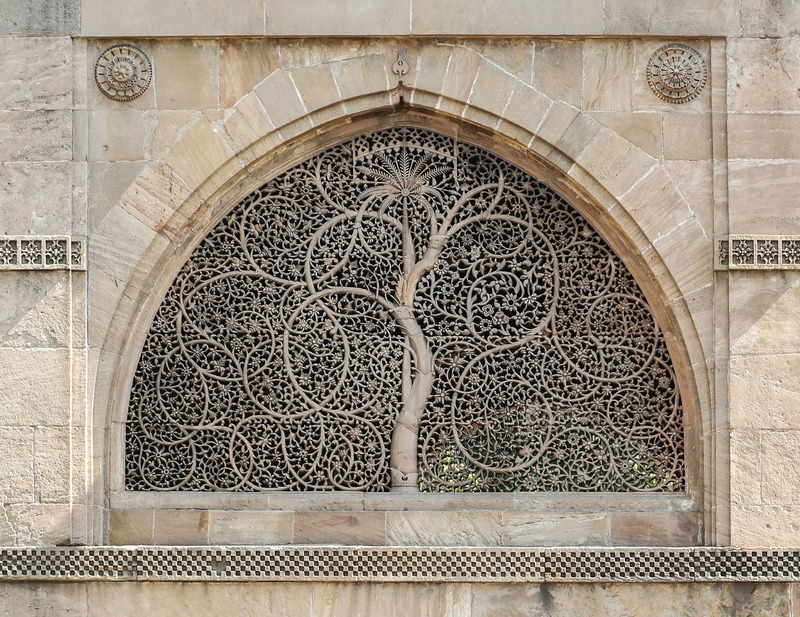 AMC needs to enhance its budgetary transparency by providing actual expenditure details for accountable practice for inclusive social justice, as the expenditure is meant for socially disadvantageous and poor people of the city. It should apresent ward-wise budget outlay for development work. The Vadodara Municipal Corporation has been presenting such document, which is the best transparency practice. AMC should also adopt best practice of the Surat Municpal Corporation’s zone wise receipt and expenditure budget, given in the budget document. Since Ahmedabad city has Gujarat’s 10% population and annual budget more than Rs 6,000 crore, its female citizens deserve better services, and one way is to earmark substantial budget for providing services to women, girls and senior women citizens to address their practical needs of daily life. In fact, AMC should bring out a gender budget statement within the AMC budget and insert it as an annexure to add value in enhancing transparency level like Mumbai and Pune Municipal corporations do.